You can choose next day delivery, or choose express to get your order before 10.30am. If things change and your timeslot isn’t convenient anymore, you can reschedule with DPD and even ask them to leave your order in a safe place or with a neighbour. You can also change your order to Click and Collect if you aren’t at home for your timeslot. Get a laptop that can match your creativity with this silver Apple MacBook Pro. It’s nice and lightweight, and also has a 10 hour battery life, making it easy to take away from your desk and settle down to work somewhere a little more inspiring. The 13 inch True Tone Retina display ensures all your projects will look sharp and vibrant, with plenty of space to save them all on the 512GB SSD. 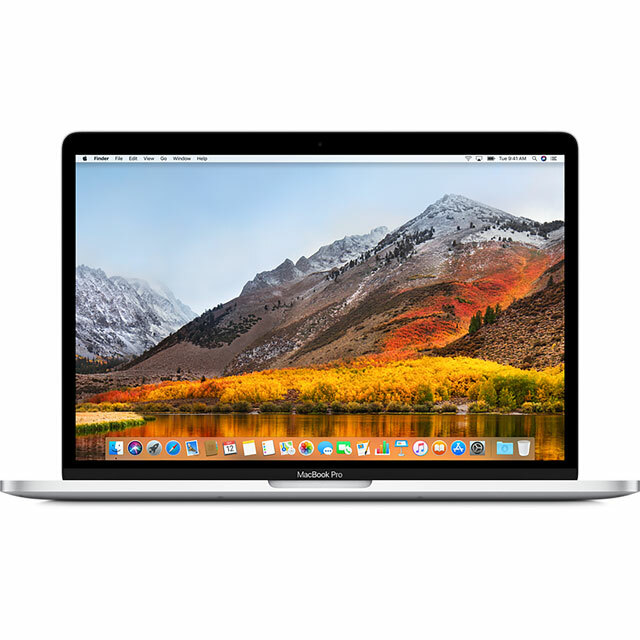 There’s plenty of power provided by the Intel® Core™ i5 processor and 8GB of RAM, so you can do everything from editing video to playing games, and thanks to the innovative Touch Bar with Touch ID, using your software has never been easier, or more secure. Awesome laptop the best on the market. Yes it’s expensive, but you get what you pay for. Bought for my son who uses it for his university work. He loves it and says this has made his life easier when doing work, just the convenience of it. Definitely recommend this to anyone looking to buy this. Never going back to Windows!